Last night the Main Street Electrical Parade returned to Disneyland in a private party. Tonight it starts its encore performance schedule which will end on June 18, 2017. The parade has been entertaining guests around the world since it made its debut on June 17, 1972. 80 parade performers (estimated number per night) bring the magic to light including 10 To Honor America patriots, 16 royal court dancers and the Seven Dwarfs. 35 dazzling, lighted costumes are worn by the parade performers. 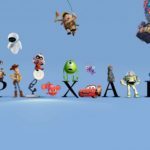 2 composers, Jean-Jacques Perrey and Gershon Kingsley, wrote the iconic synthesizer piece known as “Baroque Hoedown” in 1967, and the song was adapted for the Main Street Electrical Parade in 1972, interwoven with classic Disney themes to create the now iconic parade soundtrack. In 2005, Main Street Electrical Parade creator and former director of entertainment Robert Jani was inducted as a Disney Legend. 500,000 hand-tinted white miniature bulbs twinkled each night in the early versions of the parade. 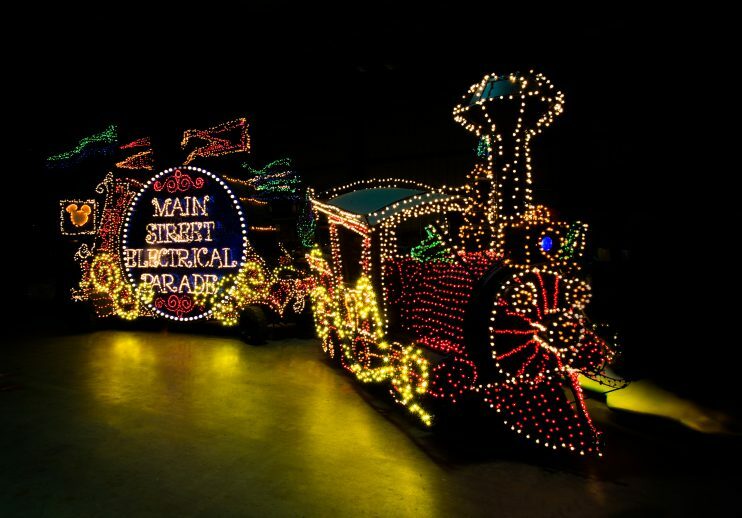 500 miles of wiring were used to light the floats during early years of the parade, enough to travel to the top of the Matterhorn and back nearly 9,000 times. 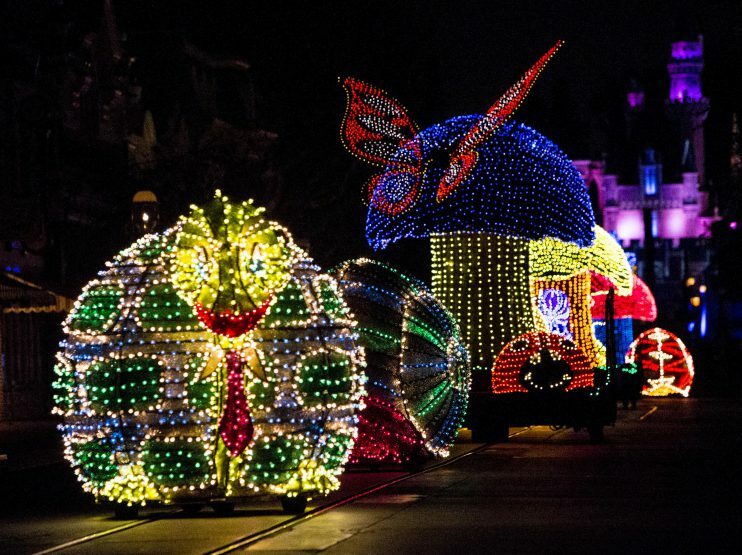 Approximately 75 million guests viewed the Main Street Electrical Parade during its original run at Disneyland. Will you return to Disneyland to see this spectacular festival pageant of nighttime magic and imagination one more time?